A cat who went missing from a home in Michigan somehow turned up two months later more than 1,000 miles away in Tampa, Florida. The 2 ½ old tabby, full name Daisy-Duck Bandit, went missing from his home in Dearborn, Detroit, towards the end of October, prompting a desperate search for him from her owner, Judy Sanborn. Several weeks later, Sanborn said she received a call from the Blue Pearl pet hospital in Tampa to say that they had found her cat. Staff told Sanborn that her cat had followed a woman home. The woman took it in to the veterinarian hospital, believing it was a stray. The cat was then identified via microchip. Neither Daisy-Duck Bandit’s owners or staff at the Tampa hospital have any idea how the cat made the long journey down to Florida. Jose Calderon, an emergency veterinary technician manager at Blue Pearl, said the cat’s epic journey is the longest he has ever seen in his 30-year career. “A block over, a street over, or maybe even (from) Orlando, which is an hour away from us. This is the farthest away I’ve seen,” he told the Detroit-Free Press. Sanborn later launched a GoFundMe appeal to help raise money to send her beloved pet back home to Detroit. “We don’t know if he hitched a ride in a moving van or a snowbird took him down to Florida,” Sanborn wrote in the description page. “Over the last three weeks we tried to find friends and relatives who may have been in that area and able to bring Daisy home. We were unsuccessful. Our only option is to have him flown home in cargo. Sanborn has since successfully raised the $500 she needed in order to pay for the cat’s ticket home. Sanborn said her pet has mainly been an indoor-outdoor cat throughout his life. She is now planning on giving him a plan a collar with her phone number listed on it in case he runs away again. 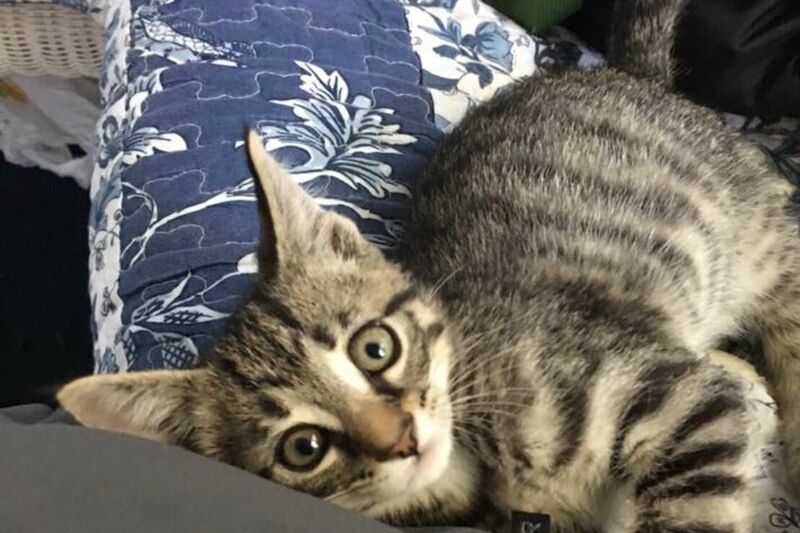 Explaining the cat’s unusual name, Sanborn said he goes by Bandit, Daisy or Daisy-Duck after they gave him the girl’s name mistakenly thinking he was a female when they got him as a kitten, reports Detroit Free Press.